Eric Trump and wife, Laura, announced a new addition to the Trump family on Monday, leaving Americans to do the math on just how many grandkids the 45th president has. 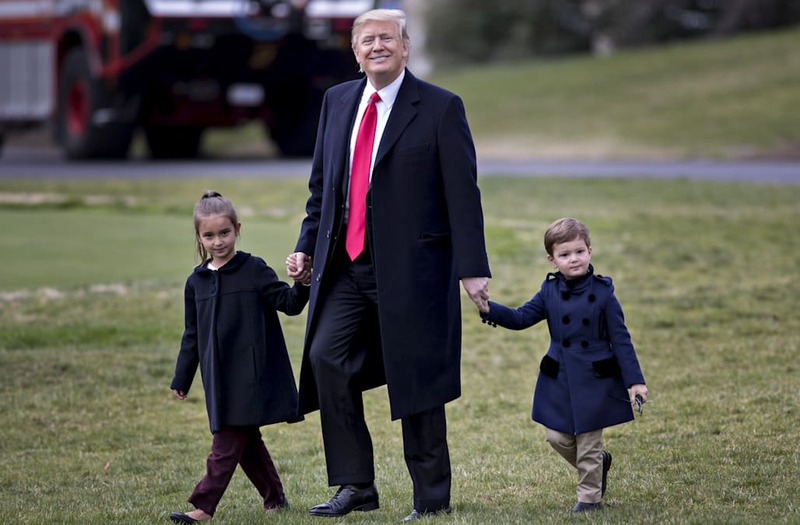 President Trump has five children and eight grandchildren. Of his five children, three are with ex-wife Ivana Trump (Donald Jr., Ivanka and Eric), one is with ex-wife Marla Maples (Tiffany), and one is with current wife, Melania Trump (Barron). Of President Trump's five children, two of them currently have children. President Trump's eldest son, Donald Jr. has been married to Vanessa Trump (née Haydon) since 2005. They share five children, who are listed below. Tiffany Trump, 23, and Barron Trump, 11, do not yet have children.